One of Britain’s most respected thinktanks, the Resolution Foundation, has been digging through the government’s own figures and given me exclusive access to its analysis for the capital. Perhaps its single biggest finding is this: the proportion of Londoners who own a home with a mortgage has been sliding since the early 90s – and has now dipped below the number who rent privately. In John Major’s time, less than 20% of all Londoners rented privately, now that is in the mid-30s, and marching up to 40%. In other words, the idea that Generation Rent is the one with the problem is for the birds: London is becoming a city of renters. Nor is that trend likely to reverse. The consultancy PricewaterhouseCoopers predicts that, in less than 10 years, 60% of the capital will be renting from a private landlord or a housing association. For the Iron Lady and her generals, the whole point of spreading asset ownership was to bind the middle classes by self-interest to the upper classes. Do that, and Britain would turn a permanent shade of blue. The project has clearly failed. One of the truisms of personal finance is that the absolute maximum you want to spend on housing is a third of your wage. Much more than that and the danger signs start flashing. And in the mid-90s, only about 17% of Londoners were spending more than a third on housing; now that’s rocketed up to 31%. It almost goes without saying that low-to-middle income households – think of a family with kids making £40,000 a year – are stretching themselves way more than that. 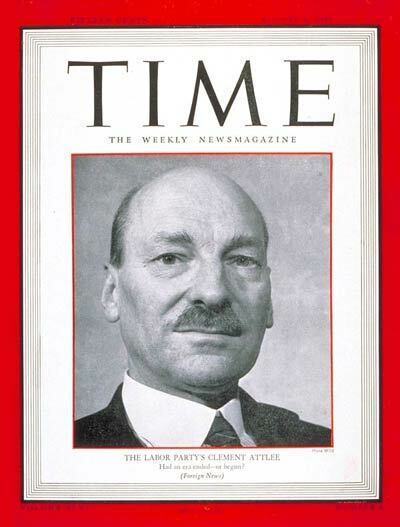 Our Attlee Remembered weekend festival in October 2017 will explore how, 70 years ago, politicians did push back powerful vested interests for a caring social democracy as Clement Attlee’s government oversaw the largest and most wide-ranging social reform programme. Despite being in the most difficult of times, his 1945-51 administration laid down the foundation for the subsequent rapidly rising living standards, decreasing inequality and growing prosperity. How many of us know this history? What lessons we can bring forward for today’s ‘austerity’ debate.